Not long ago I was reading a book by one of my favorite Southern authors, Tennessee Ernie Ford (1919 - 1991), the famous coal miner, when I ran across a passage that brought back memories from my childhood. The passage in This is my Story, This is my Song (1963) was about shivarees that took place in his neck of the Tennessee woods. 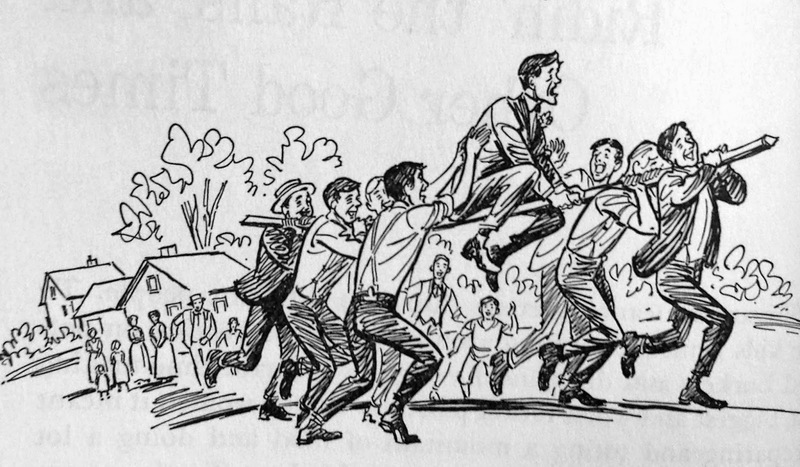 A shivaree (also spelled charivari and chivaree) was an old-time rural custom –- nearly faded to oblivion by the early 1950s –- of throwing a noisy surprise party for newlyweds, either on their wedding night or soon after they returned from their honeymoon..
Shivarees meant different things to different people. To the kids it meant running around the house beating on pots and buckets and dishpans, having a wonderful time making the biggest and worst racket possible. To the women it meant preparing and toting a mountain of food and doing a lot of gabbing and staying busy in the kitchen. To the young man getting married, well, the shivaree was something to be real glad when it was over. [In Tennessee they made the bridegroom ride around on a rail.] “When I was just a kid I thought it was fun, watching the poor guy bouncing around on that rail, with all his pals whooping it up. But when I got a little older I began to feel for the victim. Reading this, I was reminded of the shivaree in which I took part in 1952 or 53, when I was 5 or 6 years old. That event is one of the memories I can dredge up from a young age, and I am sure it stuck in my memory because –- as Professor Ford described –- I got to creep around in the dark and make an awesome noise to scare some adults. Now, more than 60 years later, it is a bit painful to think that I am probably among the few people still breathing who took part in a genuine shivaree. The shivaree was for my mother’s youngest sister, my aunt Charlene, who had a few days earlier married Harold. They were living in a country farm house with no nearby neighbors. I recall the old place, located in the community of Harmon, west of Springdale, east of Siloam Springs, in the northwest corner of Arkansas. It had a pond, and, I think, tomato fields nearby. Also, as I remember it, the house had a dusty front yard with little grass. The shivaree began when many of the couple’s friends and relatives assembled quietly after dark on a dirt road near the house where they were staying. The conspirators were equipped, as Tennessee Ernie described, with pots and pans, cow bells, and other metal things that made a noise when hit with a large spoon or a hand. In the dark we crept quietly to the windows of the house, noting the dim lights inside, and, on some signal, everyone started yelling, ringing the bells, and pounding on the pots and pans and other metal objects, making a loud and inharmonious noise. It was quite a din and I’m sure I -- with a big smile on my face -- did more than my part to make it as loud as possible. If the newlyweds had been sitting innocently in the house, no doubt the noise would have scared the bejebbers out of them. However they had been warned or somehow figured out what was coming and had climbed out a window as the conspirators were approaching the house. According to my aunt Charlene, the escape did not work out too well because she and her new husband, running the dark, fell into a ditch as they tried to get away. I do not remember much about what happened after the noise ended. I am sure no one rode a rail, but do not know what harassment, if any, the couple received. Likely it was not much more than good-natured kidding. Perhaps the night was served as both a shivaree and a pounding –- both noises and gifts. Although the Ozark shivaree was tame, many were not. 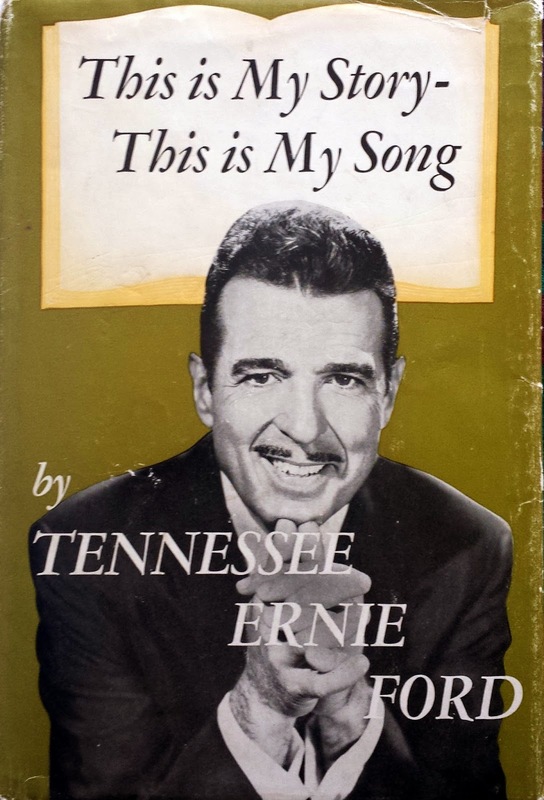 Tennessee Ernie made clear his uneasy feelings about Tennessee shivarees before World War II. Apparently they could result in “rough treatment” (a euphemism for torture) of the groom, especially if he had been an over-exuberant participant in shivarees that came before his. Checking out old newspaper and magazine stories about shivarees, it is evident that the custom varied at different times and from location to location. In some times and places, it was a punitive, even vicious, custom; in others, it was a friendly get together. In the early days, it was usual that only men participated in shivarees; later, celebrants of both genders usually took part. In some places, the shivaree took place on the wedding eve or night; in others they were held a day or more after the wedding. In some places, the newlyweds were supposed to provide refreshments for or bribes to the shivaree party; in others the participants tried to surprise them, bringing their own food. Just after dark the abuse began with the largest crowd ever gathered at a shivaree in our community. This was probably because I had been a very active participant in many previous community shivarees. One cousin drove 200 miles to exact his revenge after waiting years for the opportunity. I hoped for the best, but as my glasses and billfold were removed, I knew it was going to be bad. The small house filled to capacity as the shenanigans began. All labels were removed from kitchen foods, cans and supplies. Toilet paper was dunked, food canisters switched, rice and crackers dumped into the short-sheeted bed. Bed slats were fixed to fall out and cans of rocks were tied to the bedsprings. Shoelaces and socks were tied into hard knots and all underwear placed in a pillowcase and tossed up on the rooftop. During the evening I washed my wife’s feet, reenacted my proposal of marriage and pushed her up and down the driveway in a wheelbarrow with everyone singing “There’ll be a hot time in the old house tonight.” As I passed my car, I could hear air hissing as the valve cores had been removed and tossed into the weeds. My work pickup had been mired axle-deep in a nearby mud hole. Apparently during frontier times, shivarees had often been, like this Texas shivaree, pretty rough. Here is a description of shivarees in frontier Kansas. [W]eddings were made most memorable by the "charivari," or "shivaree," that neighbors exacted on the newlyweds on their wedding night. The closest modern equivalent of the shivaree would be a combination of trick-or-treating, fraternity hazing, and Christmas caroling. Shivaree participants would gather at a neighbors' home to "warm-up" and sometimes have a few drinks. As darkness descended, the shivaree party would converge on the home of the newly wed couple, hoping to catch them shortly after they got into bed. Shortly after arrival, the shivaree party would begin banging pots and pans, singing, and yelling to get the attention of the couple. If the couple refused to come out, the shivaree leader would bang on the door, demanding admittance, so that the party could come inside and to celebrate the wedding and toast the bride and groom's good health. "An Idiotic Survival of Semicivilized Times" or "Just Plain Fun"? The fact that the shivaree survived all of the mishaps and condemnation is likely attributable, in part, to the fact that in many places it was viewed as honoring the bride and groom. In its good-natured form, it welcomed the couple into the community, and they took pride in being honored. As noted above in the description of the benevolent Missouri shavaree, newlyweds in that community looked forward to the event. Actually this whole shivaree business was just another way that poor country folks managed to have themselves a good time. Entertainment wasn’t an easy thing to come by in those days. There wasn’t any television to stay home and watch. So whenever there was an excuse for some doings everyone jumped right in. His observation helps explain the demise of the custom after World War II. By the early 1950s, few shivarees were held and by the middle of the 1950s they were rare. Not only were they done in by their early excesses and shaky reputation, but also by demographics and technology. The frontier had largely disappeared, and more people moved to cities where shivarees do not work well: the noise not only scares the newlyweds, but also is likely to provoke startled neighbors to call the police. Also, so many couples were getting married after the war that it would have been quite time consuming to have shivarees for all of them. Then, of course, the development of television and other types of home entertainment decreased the need for the remaining “poor country folks” to entertain themselves. Other marriage traditions, such as showers and bachelor parties, thrived, but increasingly fewer people thought that it was a good idea to go ring cow bells and bang on pans in the dark in front of the houses of newlywed couples. I am glad that Shivarees had not died completely that year when I had a chance to take part in the old frontier custom. It might not have been the galwhoppinest shivaree ever held, but there is no doubt in my mind that one galwhoppin shivaree took place that night in Harmon many years ago. Vernon (TX) Record, Jan. 15, 1924. Note: all newspaper articles were accessed through Newspaper.com.